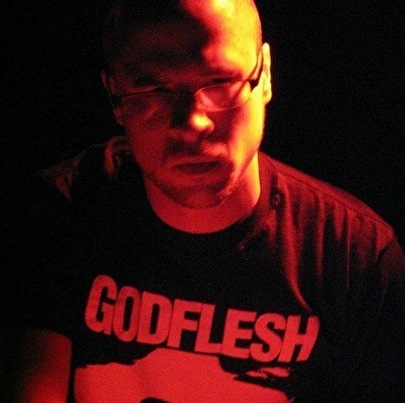 Lynn Standafer, better known as Enduser, undoubtedly counts as the better known, most active and highest praised breakcore producers. Shooting his way through the 2000's with salvoes of EPs and albums as well as constantly touring all over the world, Enduser has grown from being a driving force of this sound to one of its best embodiment and most recognized figure. Synonymous for a music which marries carefully laid melodies with unrestrained aggression, Enduser has received praises from all sorts of horizons for the way he manages to entice a sense of beauty in the midst of broken and pummeling beats. If hard electronic music can ever be recognized as having a soul, it is throughout Enduser's output that this gets best demonstrated. Enduser has played too many high-profile shows and festivals to list, and has amassed an impressive discography, which features several highly successful records and tracks. His music has been recognized as heavily influential in many genres, ranging from drum'n'bass to metal. Enduser has also collaborated with artists ranging from drum'n'bass heavyweights Dylan or DJ Hidden as with rock and metal legends Jarboe (of the Swans), Justin Broadrick (Godflesh, Jesu) or Bill Laswell. moet echt snel weer naar Nederlad komen! !